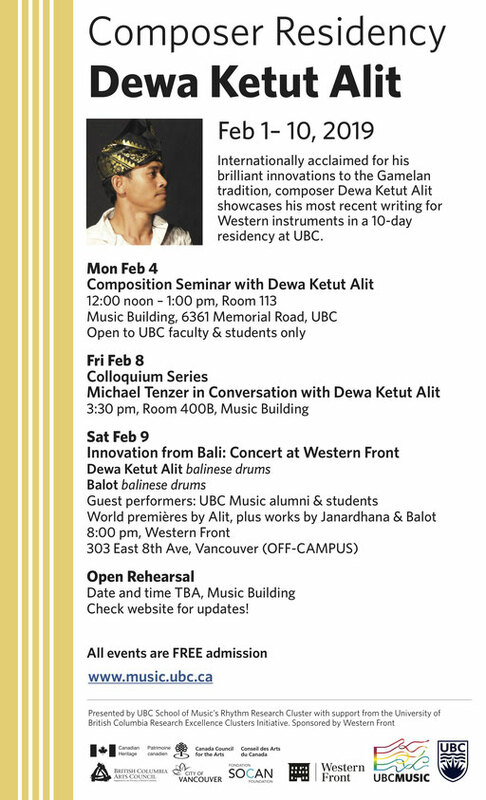 Dewa Alit is going to a 10-day composer-residency at UBC, Vancouver! Richmond Symphony, USA, is going to play one of Dewa Alit's music at three occasions in January. During the residency there will be seminar and talk session, as well as a premaire concert for his new piece "Simalakama" for piano and strings. The program also includes Dewa's Ameriki (2018) for flute, piano and percussion.